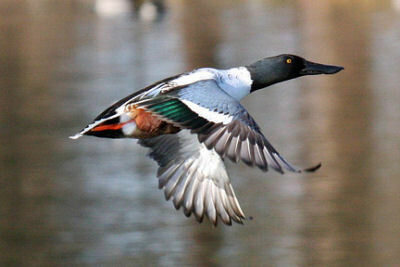 One of my favorite ducks is the Northern Shoveler (Anas clypeata). Something about their namesake, absurdly long, shovel-like bills, elegant plumage, and cool vocalizations make me want to see them on every birding excursion. Or maybe it is their clever methods of eating, whether straining the water with their bills or swimming in circles in groups to bring food to the surface. They are like Mallards, but cool Mallards, Mallards you’d want to hang out with. 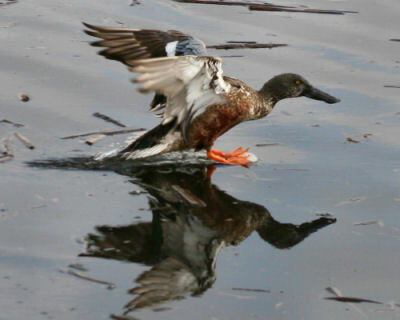 Alas, in New York it is not so easy to see shovelers often as they tend to move through the upstate region rather quickly in migration, though some do linger in the southern portions of the state. On my winter visits to California, however, they are in almost every location that holds water. They are not so cooperative as some ducks there and do not come in as close for pictures. 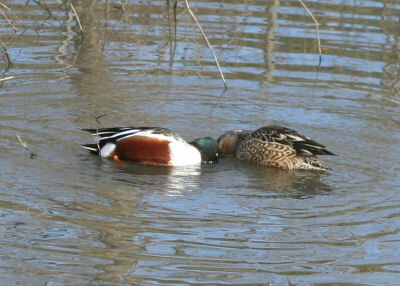 Nonetheless, I got some decent shots, so here, without further ado, is my brief photographic tribute to Northern Shovelers. 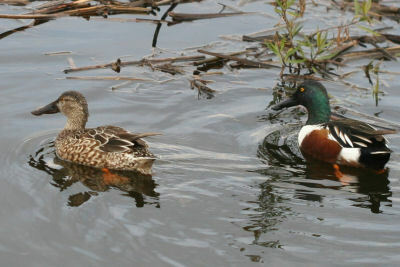 For more information about these exceptionally cool ducks click here, here, or here. 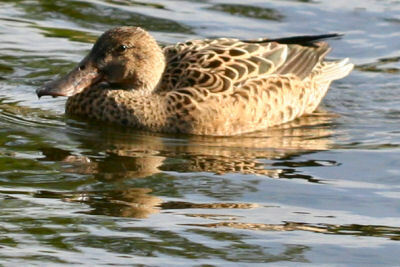 I’m quite fond of shovelers too; happily, I get as many as I want in Prospect Park every winter. Yet another reason for me to look forward to moving down to the city! 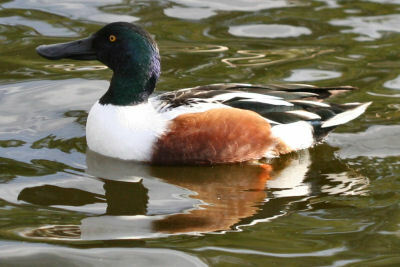 Although living in the Uk, I see Northern Shovelers every visit to my local lake. They are a resident bird in Britain.